There is significant investment in human resource development at every level of each AKHS national service company. 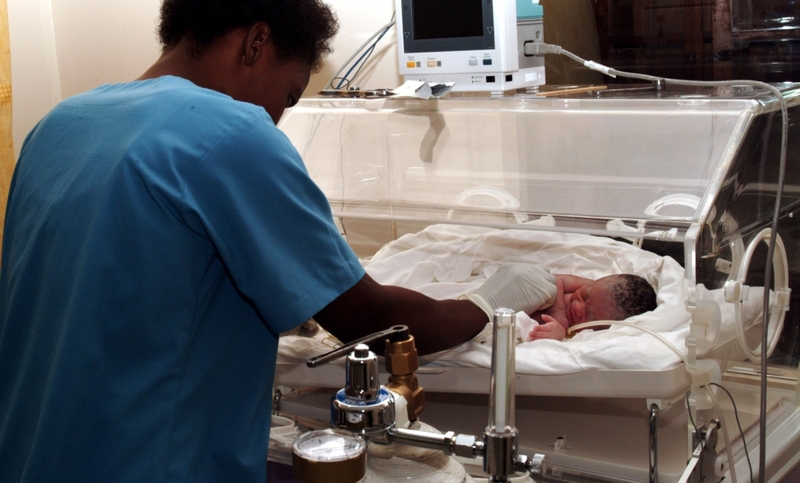 In the neonatal ward at The Aga Khan Hospital, Dar es Salaam – managed by the Aga Khan Health Service, Tanzania – a nurse attends to an infant born prematurely at 32 weeks. The hospital is a multi-specialty 24-hour medical facility, providing comprehensive outpatient, emergency, inpatient, diagnostic and treatment services. In each country of operation, the Aga Khan Health Services (AKHS) register a National Service Company as a not-for-profit, non-governmental agency. 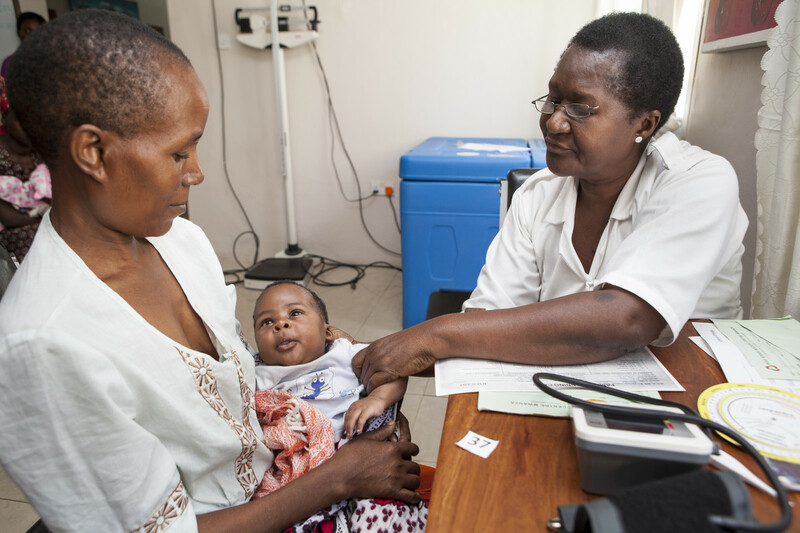 Each company has a Board of Directors, Chairman and directors some or all of whom are appointed by the sponsoring company, Aga Khan Health Services S.A., a not-for-profit organisation registered in Switzerland. Governing bodies and regional, community, and institutional committees are established to facilitate planning, operations, and funding activities of the national service companies. All directors serve as volunteers on an unremunerated basis. Typically, the board of each national service company is made up of 8-12 directors. The CEO is responsible for the planning and management of all of the national service company's operations. The services, facilities, and programmes of the companies are funded through local fees charged for services, community contributions, international donors, as well as through contributions from His Highness the Aga Khan. The Aga Khan Foundation assists the national service companies to seek funding and technical assistance from international and local donor agencies for appropriate development or service delivery initiatives. Every company has a significant, on-going investment programme to develop both its management systems and the quality of its managerial and support staff. Network-wide, there is a strong emphasis on continuous quality improvement as a core organisational development strategy. This encompasses quality assurance, and preparation for accreditation either with a US-based hospital accreditation programme or ISO processes. The total quality management methodology was introduced to AKHS in 1992 and remains an important activity. There is significant investment in human resource development at every level of each national service company. All companies also have a significant, continuous investment programme in computer-based management information systems and electronic communications. They also have a strong internal audit function. Each board has an active audit committee and every company undergoes an annual external audit.